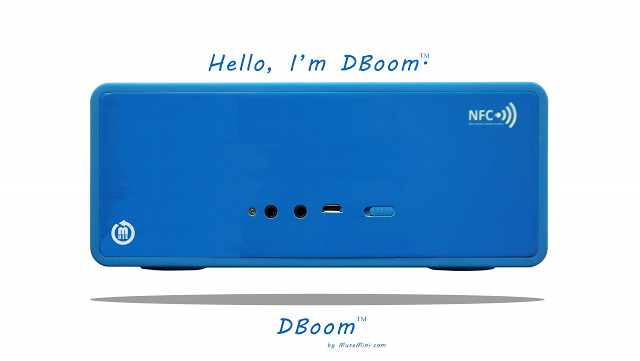 It’s another Bluetooth speaker review and this speaker comes from musemini and ambitiously titled DBoom. Packed inside this boombox is Bluetooth 3.0 and NFC technology, built in noise canceling microphone, on board controls if your phone isn’t nearby, and six watts through two speakers with passive subwoofers. This little speaker was also designed for skins so that you can personalize with photo’s or representing your favorite team by including a free voucher for up to a $20 value from their exclusive “skin” partner. Let’s see if musmini’s wireless speaker lives up to it’s name. To start, the DBoom looks great, with the glossy front and the “shattered” looking speaker grill. It was a bit odd to me that the speakers faced upwards, but the down firing passive woofers are pretty common and the rubber feet do not slip on any surfaces. The sound quality is very clear at any volume even when giving it all you have got. I liked the front facing controls as I was able to play, pause, and change the track from the front making it easy to change tracks without having to access my phone. You are able to daisy chain the speakers and it is easy to do for additional sound in larger areas, but I was not a fan as it takes away from listening without the hassle of wires. 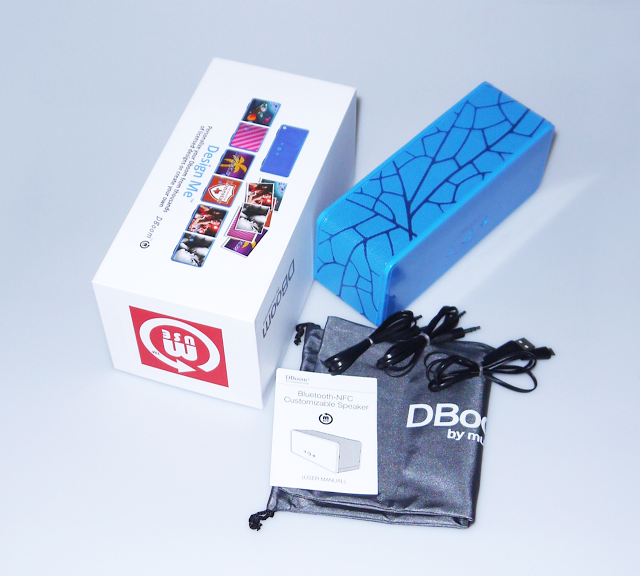 With a number of bluetooth speakers now providing the ability to charge from the speaker, the DBoom does not offer that feature. The name DBoom was also a touch optimistic as in terms of what this speaker provides in bass is pretty low in comparison to most portable speakers reviewed, but if bass isn’t an issue the highs and mids make up for the shallow depth. The only other item I was not sure of were the controls, as you have to access your phone if you want to turn it up or down. I have seen a number of speakers successfully use the pause/answer/track controls into one button and then the other two that are labeled by “+” and “-” signs adjust the volume. After a solid week of use and numerous playlists, I enjoyed my time spent with the DBoom. It was slightly larger than I was expecting as some are so small they look like toys and stick, but the DBoom is pretty loud at 95 decibels from two feet away so filling a room with sound is no problem. 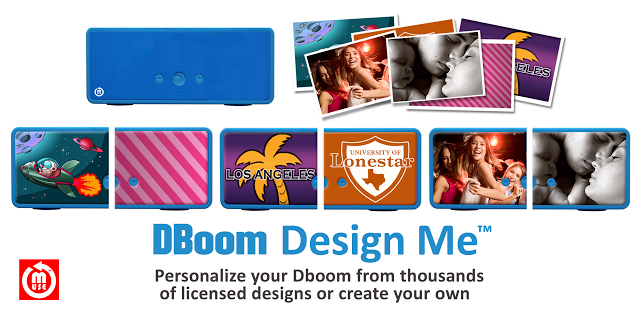 Also, unlike most, the DBoom uses a removable 2600mAh battery, so if you know you will be without charge and are unable to go without music, just take a couple full batteries with you to swap and go. 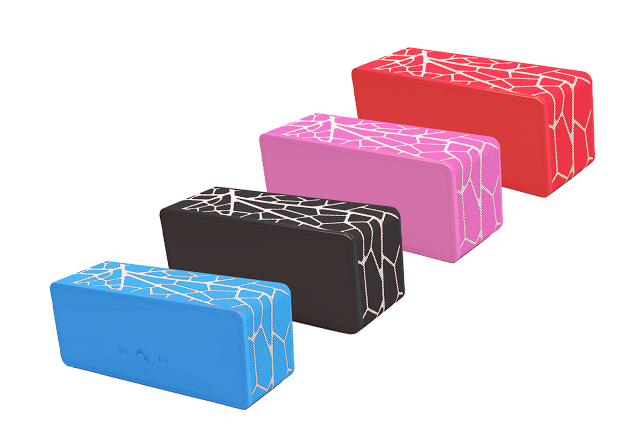 Musemini’s DBoom is available now in five colors at the price of $129.99. Use the coupon code mashbuttons15 when ordering and save 15% off your order.